Shiver me timbers! A swashbuckling adventure for all the family. 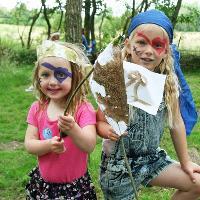 Wild Families activities are designed to get the whole family outside! Shiver me timbers! A swashbuckling adventure for all the family. Wild Families activities are designed to get the whole family outside and working together!